It’s October 1938, and while panic is spreading across Europe as the forces of fascism tighten their stranglehold on the continent, in the US a different hysteria has hit. When Orson Welles broadcast his now (in)famous radio adaption of H.G. 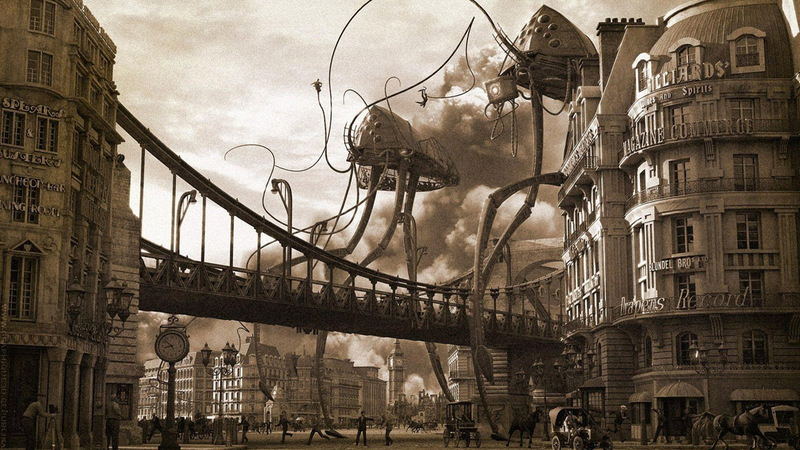 Wells’ The War of the Worlds it was revolutionary. The lack of commercial interruption, and news reel-style script led many Americans to believe an alien invasion was taking place. They left their homes behind, and evacuated cities en masse. Or at least that’s how the story goes, but the reality was quite different. Audience figures on the night of the broadcast were so low experts are unanimous that the supposed panic was falsified. This could have been Welles and the producers trying to gain free publicity. More than likely it was the newspaper industry seizing an opportunity to discredit radio as a reliable source of information after losing huge chunks of profit to broadcast. In 1924 the Daily Mail published a fraudulent document, the Zinoviev Letter, which suggested a Labour victory in the imminent General Election would mobilise the working classes bring Britain to the brink of Communist revolution. The Tories won by a landslide, the opposition destabilised for decades. World War II brought often-fabricated propaganda to the top of the agenda on all sides. One of the most remarkable instances being the Moscow Trials. Between 1936 and ’38, a paranoid Stalin charged members of the Communist party unsympathetic to his leadership with conspiring to overthrow his government. The false accusations were reported as truth. Many were executed after confessing under extreme duress. In 1942 Hollywood released a film, Mission To Moscow, perpetuating the lies in a bid to improve Stalin’s global reputation at a time when Russia was playing an invaluable role in fighting Nazism. If WWII was a propaganda minefield, the next was even worse as the Cold War set in. Joseph McCarthy’s so-called ‘witch hunts’ exposing Communists living in America are classic examples. Countless people, including high profile names like Charlie Chaplin, Leonard Bernstein and Arthur Miller were blacklisted or forced into exile. During this time Radio Free Europe was broadcasting behind the Iron Curtain, weakening many governments with questionable reporting. Back in the US, the station appeared to be funded by the public, as PBS is today, when in reality it was run by the C.I.A. 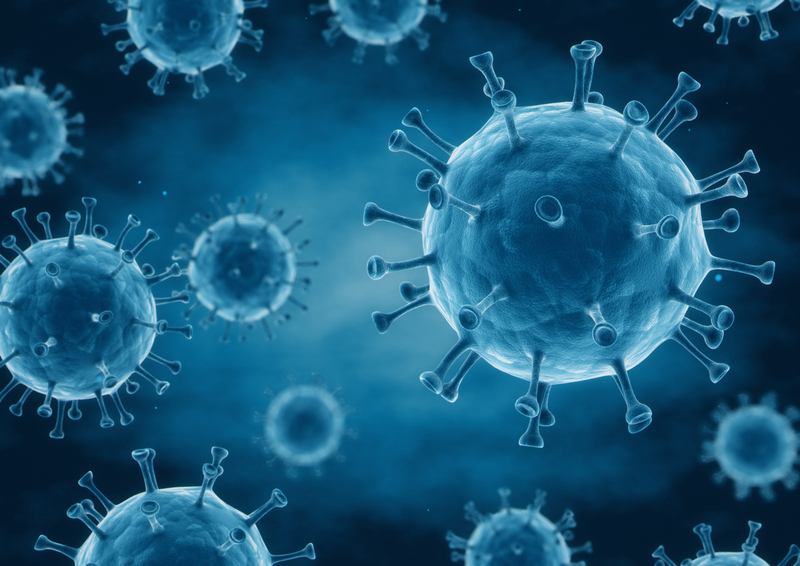 One of the history’s greatest conspiracy theories began in 1974, when rumours that a World Health Organisation experiment had spawned HIV and AIDS. The rationale being either an attempt to reduce the global population or the weaponisation of disease. A decade on, AIDS was again in the news. This time an American lab at Fort Derick was supposedly producing the virus to spread throughout the world. In reality, it was being created on-site, but for research into potential treatments and cures. 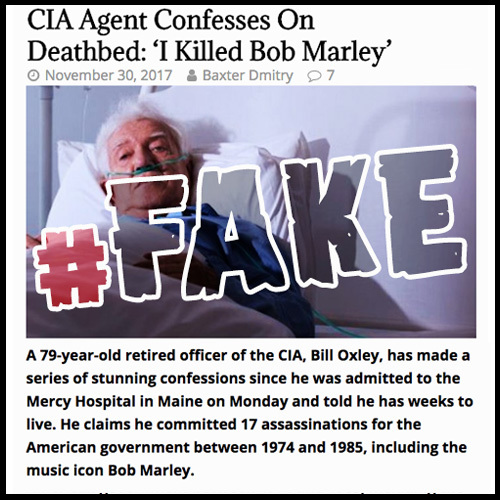 Bob Marley’s death in 1981 was closely followed by false reports claiming the C.I.A. assassinated him. Logic behind the theory is sketchy at best, but the idea continues to resurface, including last year when an undercover operative ‘confessed’ to the killing, and more recently with Busta Rhymes and T.I. putting the false scandal back in the headlines. And then we also had the Hillsborough disaster in 1989, and now-debunked reports in The Sun about the behaviour of Liverpool fans during the incident. Hence the paper effectively being banned from Merseyside to this day. 1998 saw the apparent scandal of vaccines causing autism after a fraudulent research paper was published in The Lancet. This was subsequently described as ‘perhaps the most damaging medical hoax of the last 100 years’. One year later, in 1999, the infamous Alex Jones established his conspiracy theorist and fake news website, Infowars, arguably kickstarting a new era of disinformation. At the beginning of the decade reports were rife in Australia that asylum seekers were throwing children overboard to stand a better chance of the government offering them refuge. This was not true. Closer to home, the now refuted weapons of mass destruction dossier that led to the 2003 Invasion of Iraq, one of the most globally significant actions in recent history, was published as gospel by much of the British and American press. 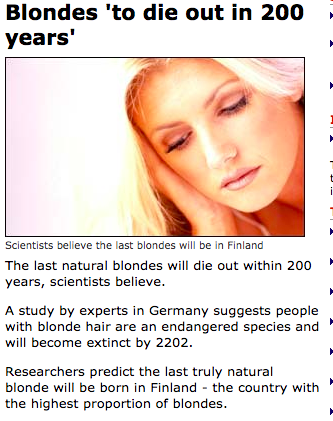 In 2002 the BBC ran a story on how the World Health Organisation had found blonde hair was becoming extinct. Repeated by ABC, CNN and Daily Mail amongst others, the organisation later stated they had never heard of the study. Enter the age of fake news, or at least the age of calling it fake news. A decade which has seen Donald Trump rise as politician, major US news agencies branded liars, Fox News getting away with all manner of mistruths, and widespread falsities regarding the benefits of Brexit; £350million to the NHS per week no less. Want to know more about how your brand can benefit from real news coverage? Our Guide To Earned Media can help.